The Wahl Show Pro Plus Clippers are everything a clipper should be! Multi-cut adjustable ShowPro Clippers features a satin chrome blade that adjusts from #30 to #15 to #10. Show Pro Plus Clippers are cool running, with a high speed quiet motor for quick trims. A high quality and great value for a general use clipper. 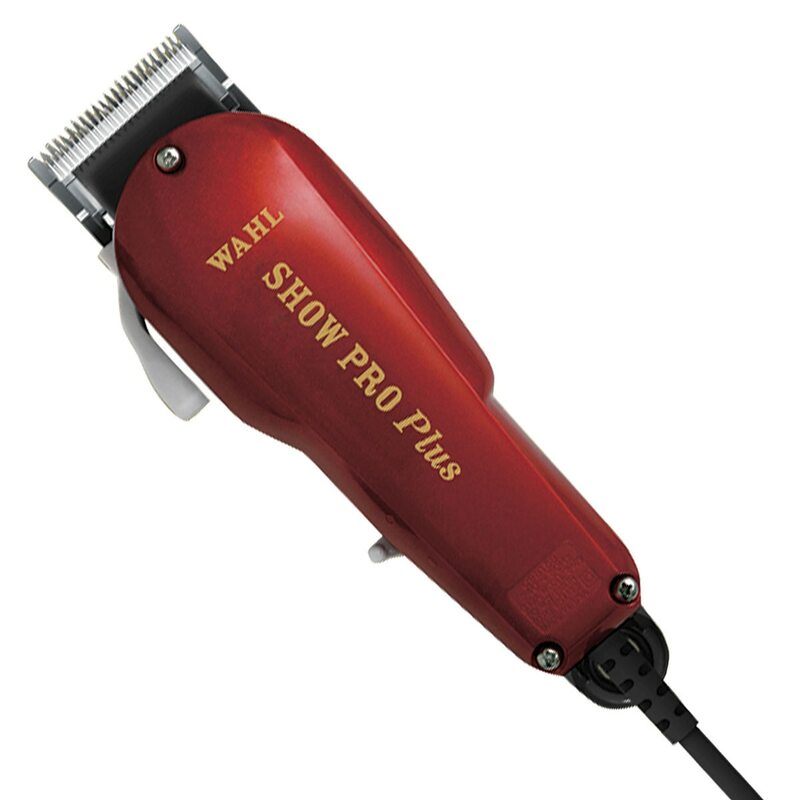 6.5" x 2" x 1.5"
Wahl Show Pro Plus Clippers is rated 4.7 out of 5 by 116. Rated 5 out of 5 by Keely from Lightweight and easy to use These are greart powerful lightweight clippers for trim work and edging out lines for body clips. They are great around the elbows! I have always used Wahl for trim work and these clippers did not disappoint. Rated 4 out of 5 by Laurie aloha from Great clippers ! Very affordable and work great ! Rated 5 out of 5 by Klwf3f from I used someone else's pair of these clippers for years. I love the adjustable blade. I can get all "minor" clipping done with these no problem. They work great and everyone praises their longevity. Rated 5 out of 5 by gbipot from Super cheap and super nice I bought these as a backup pair of clippers because they were too cheap to pass up but they've become my go-to clippers. I love them. Rated 1 out of 5 by emmawetherell from Terrible product, invest your money elsewhere I bought these clippers at the beginning of last summer, they only lasted about a month. They quickly began to rust, and the blade would not move as it is suppose to. I always oiled them before and after each use. They were also only being used for muzzles, bridle paths, ears, and legs. These clippers were also very loud and vibrated way too much. I highly recommend that you take your time and money elsewhere. Rated 1 out of 5 by PonyTamer107 from Frustrating, invest elsewhere I body clipped a large pony with these twice. First time they ran ok, second time it took me about 4.5 hours because they would jam about every inch despite the pony being impeccably clean and the blades being new and oiled. I know these are NOT made to body clip and are really only for trim clipping, but now I can't even do face/ear/leg clipping without them jamming every other second. The adjustable blade is not a good feature because I've started clipping only to discover I had been using the #30 setting. I was never so happy to chuck these things in the trash after spending an hour and a half trying to do my horses face. These clippers are now worthless and I wish I had invested the 30 dollars into a higher quality clipper. Rated 5 out of 5 by StarLBI from Great Quality! I bought these clippers as they were a more economical way to go when it came time to clip my horse. I love how the blade is adjustable, and the clippers are easy to hold. They are also great to do all types of clipping whether that just be legs or body clipping! I was happily surprised with how cool they stayed when I was clipping my horse. Rated 2 out of 5 by Jeremy from No attachments I thought it was supposed to have attachments and it doesn't so I'm very disappointed. Rated 5 out of 5 by mgwieland from LOVE These clippers are fantastic. They work well every time, give a nice clip, and are very durable. They give a very nice clean clip great for show clipping and body clipping!